Corporate Incentives & Rewards on a Luxury Yacht! Your employees are your most valuable assets. In today’s business world, it’s more important than ever to let them know how important they are to you. Recognize your employees for their length of service, quality of service, outstanding achievement, innovation, time and/or money saving ideas, and health and safety measures with a corporate incentive program. Resorts around the world are becoming boring, we have all done that before. A cruise ship vacation is simply not what we are after. 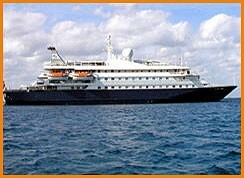 Now we challenge you to be different and to commit to a one week to 10 day private business cruise on board your own private vessel for your next business incentive event. These private luxury yacht vacations remain etched in everyone’s mind for many years to come. Employees need, value, motivation and recognition. All these points get a pat on the back when their CEO’s have a strong incentive program in place. Is it possible to effectively manage your top executives to strive for greater goals? We all consider new methods to drive sales higher. Here is a wonderful way to motivate your top executives aboard a luxury charter yacht. We have all heard that saying “if you hire turkeys, you can not fly with the eagles?” Well lets provide an eagle incentive for your staff. Our business and corporate programs are possibly the worlds most sought after private events. All-inclusive luxury yacht for up to 110 guests. This is not a cruise ship, it’s an all-inclusive luxury yacht designed for a large group. 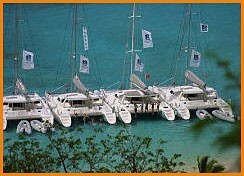 Groups larger than 12 guests whereby 2 or 3 vessels are rented, and they travel together to all your favorite anchorages. This type of vacation offers guests the opportunity to be together, and apart at any time, and makes the experience more private. 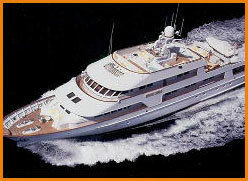 Luxury mega yacht charters for smaller groups. This is the toy of the “in crowd” who enjoy the glitter of St. Barts in the Caribbean to St. Thomas, St. Martin, Antigua, Guadeloupe, Martinique, St. Lucia and the Grenadines, St Tropez, Monaco, Greece and the rest of the Mediterranean. These personal business Incentive programs carry a much higher value for your company than you realize. These are good for both the short and long term, they increase company sales, they reward loyal customers and motivate your own employees. These private Business and Corporate events are tax free when linked to board meetings. Rewarding growth and managing performance with business Incentive events.